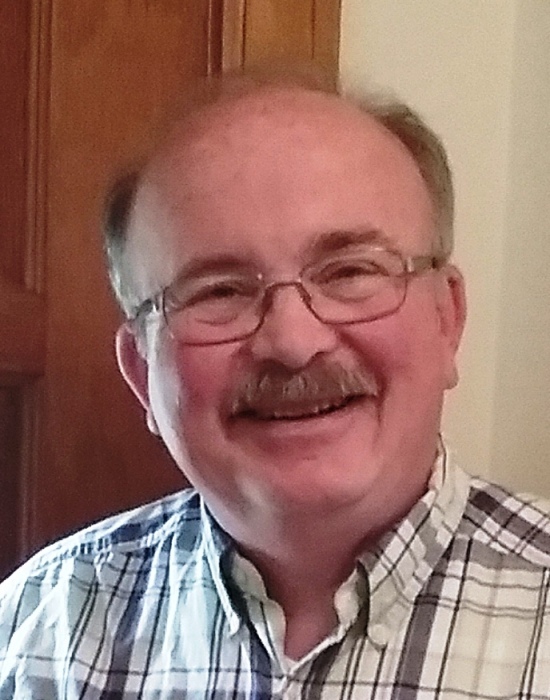 Grant Alan Fredericksen, 67, of Metamora, IL, passed away at 1:09 pm Sunday, March 17, 2019 surrounded by loved ones at OSF Saint Francis Medical Center in Peoria, IL after a brief illness. Grant was born in Kenosha, WI on June 17, 1951 to Hans G. and SaraEtta M. (Crone) Fredericksen. He married Belinda L. Schriner in Peoria, IL on January 7, 2006. He is survived by his wife; brothers, Bruce (Jane) and Joel; brother-in-law, Scott (Janelle) Schriner; sister-in-law, Kathy (Larry) Braun; along with many nieces and nephews. He will also be missed by Jerry Scheirer, his turkey-hunting and coffee-drinking buddy, and long-time friends, Arlan and Marilyn Roberds, his church family, and of course, his canine walking-buddy, Sam-puppy. He was preceded in death by his parents; and sisters-in-law, JoAnn E. Frost and Karen J. Black. Grant graduated from the University of Wisconsin-Parkside in 1973 with a degree in history. He received his Master’s degree in Library Science from the University of Wisconsin-Milwaukee. After working in libraries in Dunlap, IL and Franklin, WI, he was the director of Illinois Prairie District Public Library in Metamora, IL for 35 years until his retirement in 2017. He also wrote for the Woodford Courier where his weekly “North of the Alley” column appeared. Grant was also a past president of the Rotary Club in Roanoke, IL and served on the board with the Association for the Developmentally Disabled of Woodford County (ADDWC). In his spare time he was a member of the Church Dartball League of Greater Peoria. Grant attended First English Lutheran Church of Peoria, IL where he also served on the church council and ushered for many years. Grant will be remembered as a kind and loving husband, brother and friend. His good nature, patience and generous giving of his time will be missed. A funeral service will be held at 4pm Saturday, March 23, 2019 at First English Lutheran Church, 725 E. Forrest Hill Ave., Peoria, IL with Pastor Ryan H. Anderson officiating. Family will receive friends one hour before the service at church on Saturday from 3 to 4 pm. Deiters Funeral Home and Crematory in Washington is in charge of arrangements. In lieu of flowers, memorials may be made to First English Lutheran Church.